Well, you have to agree. Hair straightening makes things easier. And life, simpler. Not each of us is blessed with straight and shiny hair to flaunt about, but that shouldn’t make you sad. 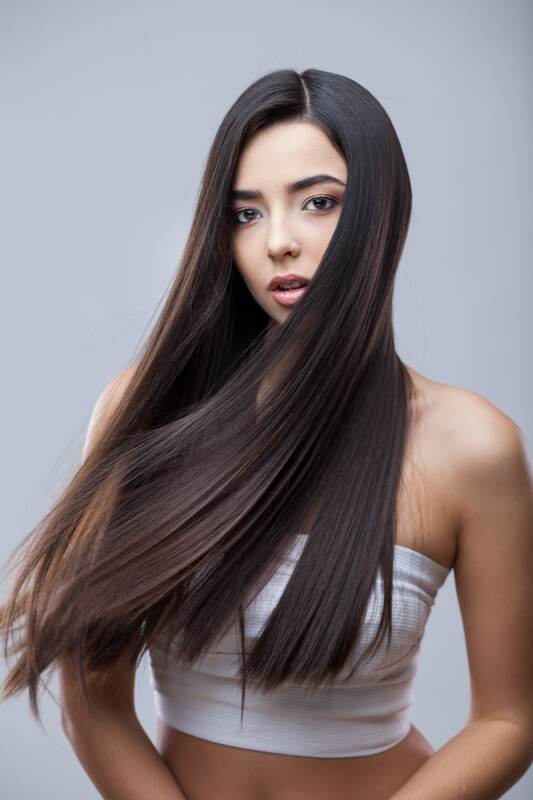 If you dream about having beautiful straight hair, let us help you cross that off your list. At just flaunt salon we can help your dream come alive. Hair Straightening is a critical service. And it’s important that you focus on quality more than price. Hair straightening is done by all. Why Just Flaunt? Yes. A number of parlours all around the city provide this service, but what you need to know is what kind of products are used. And what effect it may have on your hair. At Just Flaunt Salon, we keep our costumer’s satisfaction as our priority and therefore, make sure we use branded products only. Such treatment, if not done effectively can prove to be harmful to your hair. Firstly, because of excessive heat. And secondly, the chemicals might damage your hair. How can I know what products are being used? We encourage our costumer’s to check the products before they are used. This will give you a clear idea and leave no doubt in your heart. Is the staff trained well? We can assure you with this one. Our staff is trained well enough to carry out any kind of service you may need. Just ask. They understand and will freely advise you on any issues or queries you may have. What more should I know about Hair Straightening? Hair straightening may seem like a brilliant idea initially. Although, what you need to know is, once you have your hair done, it is necessary to maintain it. Since it is not naturally straight, you might need to follow a few basic rules to keep your hair from damaging and turning back to normal quickly. Just flaunt not only promises to give you the best of services, but also guarantees to not make a big gaping hole in your pocket. Click here to check out the Menu. Feel free to walk in any time you want. Our doors will always swing by to welcome you in.